What type of Problem Solved by your Project? Implementation and Engineering Considerations: Specifications: functional, timing, electrical, and environmental (temperature) etc. Block Diagram, Logic / Circuit Diagrams, and Algorithms. 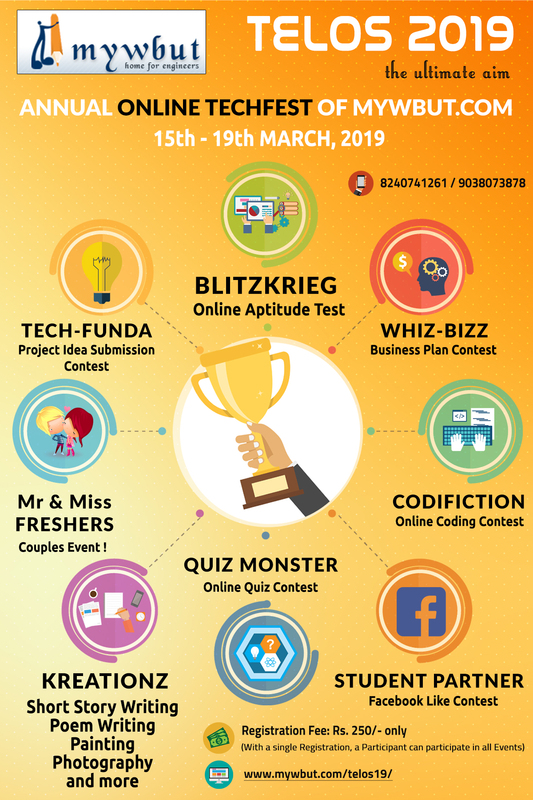 Participants can sumbit their Project Ideas between 15th March, 2019 (10:00 AM) - 19th March, 2019 (11:59 PM). Projects can be submitted in .ppt, .pptx, .doc, .docx, .pdf format only. In case you wish to upload more than one file at one time then zip the documents and upload in .zip or .rar format. If more than one participant (of the same college or different colleges) want to submit the same Project Idea, any one of them can submit the Project. But they need to submit TELOS 2019 Registration IDs of other Participants as well during Upload and require to mention details of all the Participants in the Abstract. Each Project can comprise of maximum FIVE participants. One Team can upload only one Project Idea. Projects copied from Internet will be discarded.